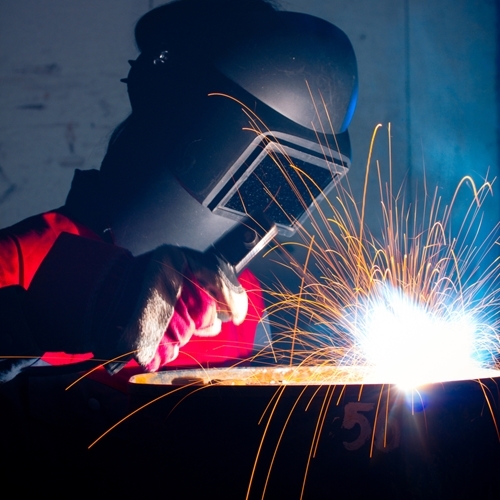 Safety Systems Technology specializes in custom gas detection solutions for various industrial applications. 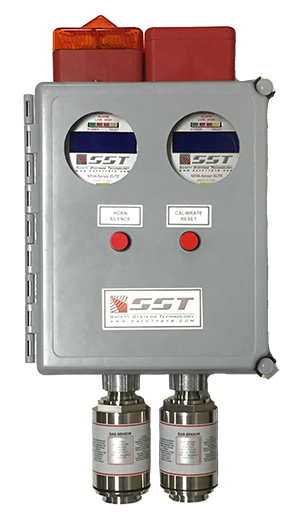 SST’s Multi-Gas Standalone Detector is a custom built gas detection system with built-in controller, 4-20 mA output, relay contacts to control external equipment, power supply, audible and visual alarm, and sensors. The unit can be hardwired or plugged-in to a 120 volt or 240 volt outlet (plug-and-play, no other wiring required). Each controller has two alarm setpoints that can be selected by the end-user. A pushbutton switch initiates the calibration sequence and another pushbutton silences the horn during an alarm. 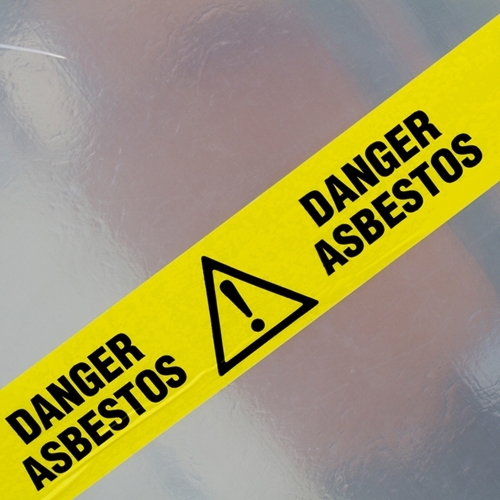 The Multi-Gas Standalone Detector can be configured with any combination of sensors: any toxic gas and oxygen or any toxic gas and combustible gas. The unit is designed for non-hazardous applications but the sensors can be remotely mounted for use in classified or hazardous areas. Examples of such applications for this particular unit are facilities requiring the monitoring of carbon dioxide gas and nitrogen gas leaks. The Multi-Gas unit in this case is configured with a toxic gas sensor designed specifically to monitor for carbon dioxide gas and an oxygen sensor since nitrogen leaks displaces the oxygen. 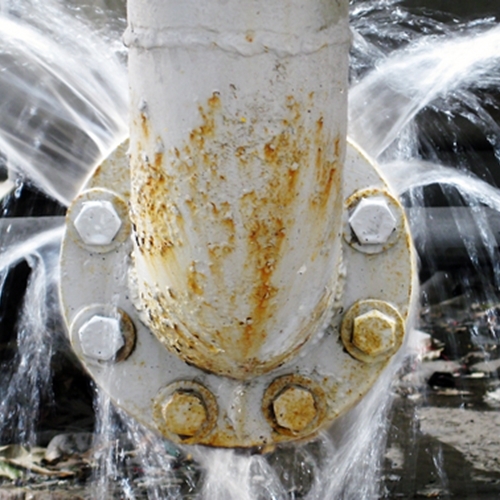 Any drop in the oxygen levels (oxygen deficiency) would indicate a nitrogen leak. Another example is a facility requiring to monitor for potential leaks of Hydrogen Sulfide (H2S) and Ammonia (NH3). In this application, the Multi-Gas unit is configured with both toxic gas sensors, one designed to monitor for Hydrogen Sulfide gas and another for Ammonia gas. Each sensor has a corresponding controller with built-in two contact relays each to control external equipment. The controller also has an LCD display that shows the target gas and reading. 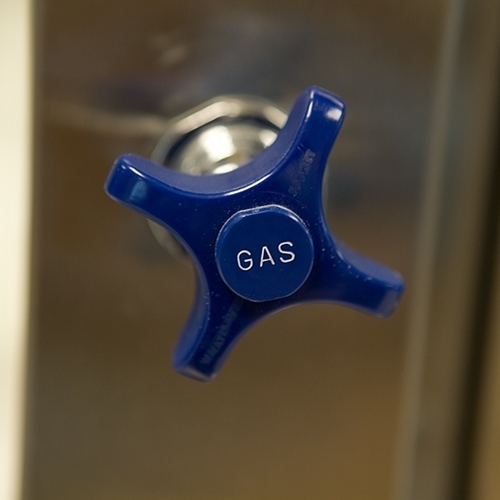 In the event of a gas leak, the controller reporting the gas leak will display a flashing display. 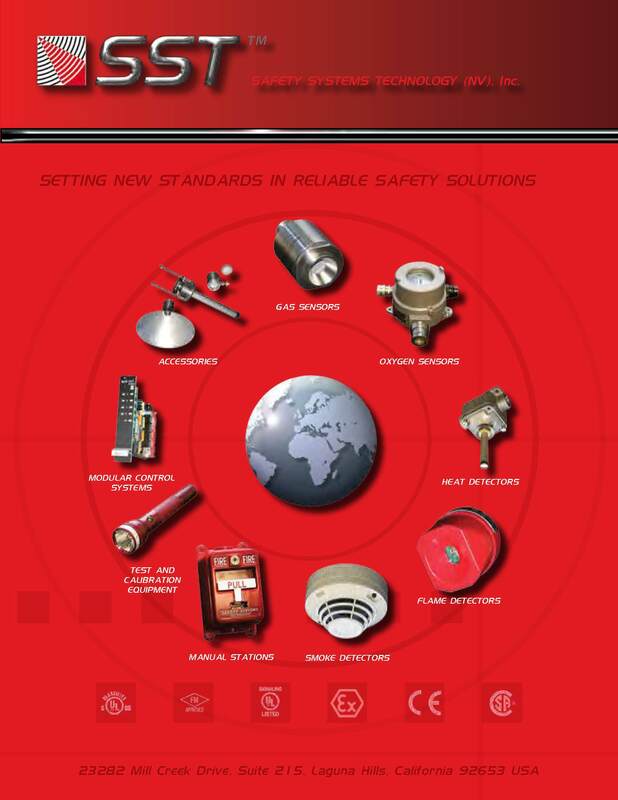 Both the low and high alarm setpoints can be set as latching or non-latching by the end-user. 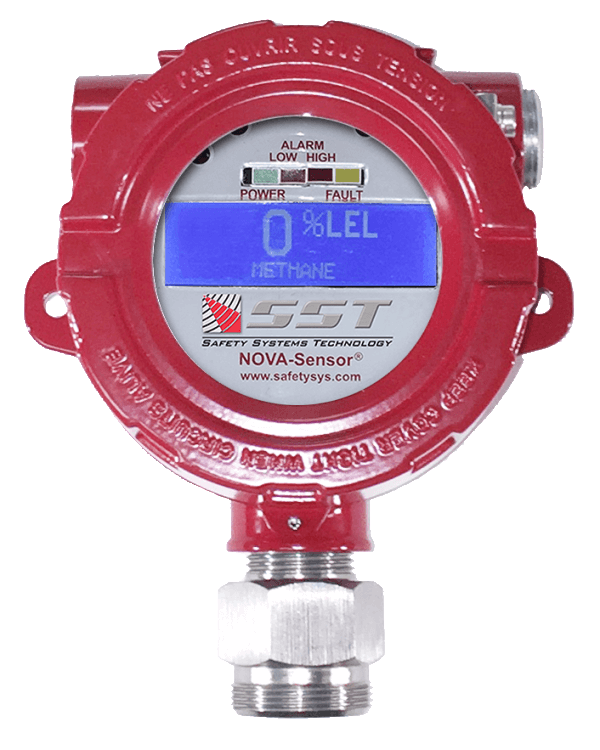 The Multi-Gas Standalone Detector comes with a 5 year warranty and is proudly Made in the USA. For additional inquiries or to request a quote, please call us at +1.949.583.1857 or via e-mail at sales@safetysys.com. ← Wishing You a Merry Christmas and a Happy and Prosperous New Year!